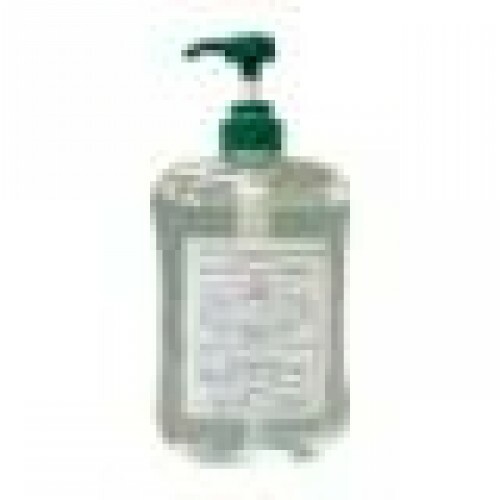 Instant Hand Sanitizer has gained popularity because it is convenient and easy to use and easy filling for most metal and plastic dispenser. Product contains antibacterial agent waterless Ethyl Alcohol ≧70% as active ingredient that kills 99.99% of eight important organisms like Cholera, Hepatitis A, Listeria, E.Coli, Norovirus, Staphylococcus, Salmonella, Shigellosis and against MRSA, VRE, Candidiasis, and Aspergillis in less than 15 seconds. A crystal clear colourless gel formulated with Glycerine and Aloe Barbadensis as emollient and Tocopheryl Acetate (Vitamin E). Formulation non-drying to the skin, ready for use on hands scrubbing to decrease harmful micro organisms and bacteria on hands where water is unavailable or no access to hand washing facilities or time is limited to wash thoroughly. May be used by food workers and approved by US FDA (1). (1) Source: FDA/CFSAN Food Service Safety Fact Sheet. May 2003. Hand Hygiene in Retail & food service Establishments. CDC Guideline for Hand Hygiene in Healthcare Settings. Morbidity and Mortality Weekly Reports (MMWR) October 25, 2002. Larson, E. Hygiene of the Skin: When is Clean Too Clean? Emerging Infectious Diseases. Vol.7, No.2 Mar-Apr 2001. Paulson, D.S. Comparison of Hand washing Products. Dairy, Food and Environmental Sanitation. 14: (9): 524, 1998. (2) Touch free automatic dispenser both of wall mounted and stand-alone also available upon request. Please call our Technical Representative for detail.